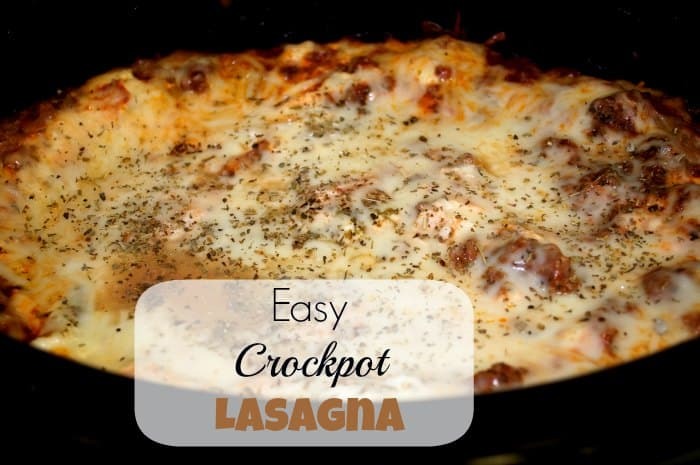 I cannot believe that you can make Lasagna in the Crockpot! When I show you how easy Crockpot Lasagna is to make, you are never going to want to make it the “old fashioned” way. Lasagna is one of my favorite Italian dishes, but I hate the work and cleanup that always goes along with it! The hardest part about making this Crockpot Lasagna recipe is that you have to cook the meat. 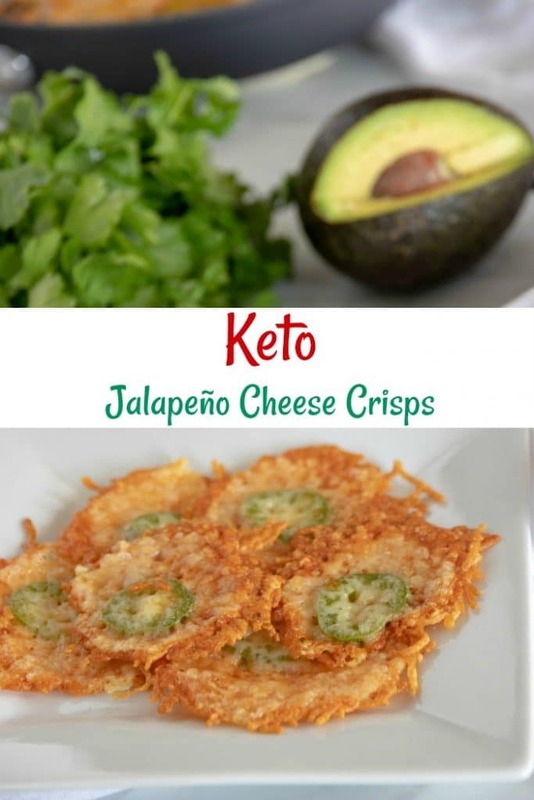 You can vary the recipe below by adding any of your favorite vegetables or making it meatless. 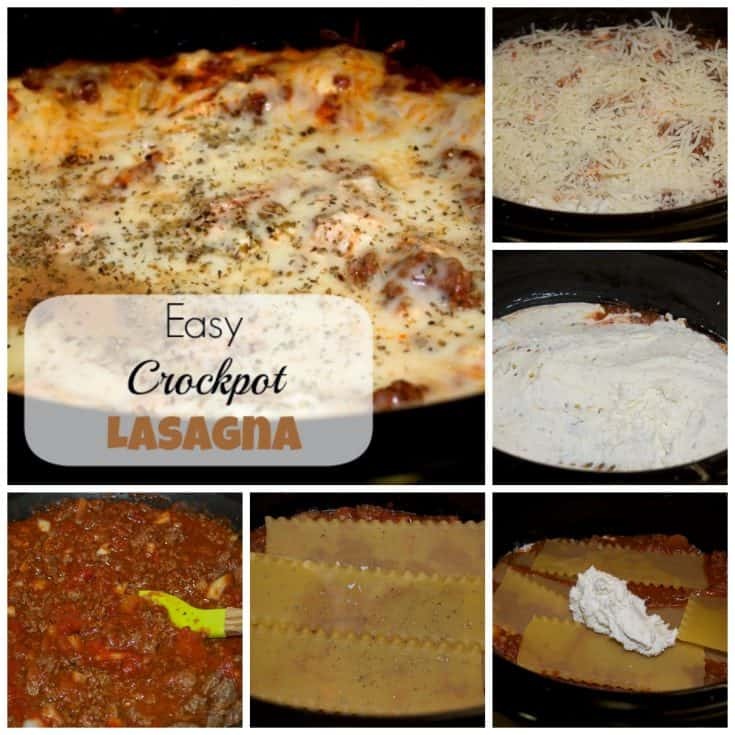 I used my 6 quart Crockpot to make this Easy Crockpot Lasagna Recipe. If you like Crockpot cooking, make sure to check out all of our other Crockpot Recipes like Crockpot Macaroni and Cheese, or Crockpot Chicken Chili Recipe! Have you ever made a different variation of our Easy Crockpot Lasagna Recipe? If so let us know in the comments below! While simmering, in a bowl combine your ricotta cheese, 1 cup of mozzarella cheese, egg, and Italian seasoning to taste and mix well. Top with remaining meat sauce and mozzarella cheese. Cook on low for three hours, any longer will overcook the noodles!